This is quite a vast topic to write on, but I’ll just outline the most out for you so you can have something to really work on really. Starting an online business in the new vogue thing and if you already have a business that is offline base and you haven’t moved it online just yet, I guess you are planning to go out of business soon, with that said, this post is for those who want to start an online business and need few reasons that would gear them up and motivate them towards starting their own online venture, or expand their offline venture to reach more audience online. Online is where the whole thing is happening these days and more businesses are taking the advantage of building a platform, to creating a huge social following and using influencer marketing strategy to boost sales and reach their optimum heights without having to break the bank and eventually go bankrupt unlike traditional marketing that takes up more resources and finance. The virtual life is the new reality and it’s either you adapt to the system and thrive or you ignorantly decline and fail. People are building empires online, marrying online, sleeping and dining online. If you can leverage on the power of the (www) era then you have the world at your disposal, I as an individual, I sleep on the internet and my feed is the first thing I wake up to in the morning and I can’t remember the (year) I last walked in to a gadget store or eatery to order for something, I do all via the internet. Talk about that---what about millions of people like me today who don’t see the need to walk into any shop or store physically to purchase something, since it is just a finger click away on their mobile or portable computer (Pc). I guess these are reasons you should reconsider your stands and if you are already doing internet marketing but you are not too sure if you have a future there, then this is a great article that just reaffirms your current stand. 1. Online businesses are clutter-free: and don’t take up more of your physical strength, it doesn’t require much physical efforts as you can easily automate so many things and let bots and automating tools take control of things for you in your absence, even if you’d be going on a month long vacation or sick leave. 2. Online businesses don’t require huge budget(s): to kick off or run effective campaign in order to convert more sales or reach more eye-balls viewing your business and interacting with you. Unlike tradition way of running business, you need so much verification, resources, cluttered this and that all over the place that makes your life so complicated and your business becomes so killing, overwhelming which leaves you no rooms to have a good time with your loved ones who need you the most. But when running an online base biz, you can run it on lean budget and yet achieve awesome mind blowing results that would leave your mouth open and you wouldn’t need to hire staffs that would reduce much of your profits, you have the option to do a pay as you go kind of business, where you only have to pay when you hire a virtual assistant. 3. Online business gives you freedom and converts fast: if you are that type that values work-freedom, meaning you don’t like work intruding into your “Me Time” then launching your online business should be the only option. & on the other hand if you need fast deal closure and high conversion rates without stress, get people contacting you within minutes of going live, then you wouldn’t go wrong at all if you kick of your online business today. If you are in the process of starting an online biz and you are not quite sure on what to really do, you can google about “Profitable online businesses” and you’d see a bunch of options and ideas, but just to give you a quick heads-up. 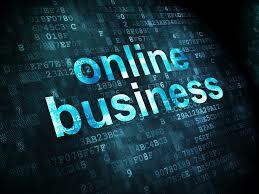 You can run the following businesses online and make good profits from anywhere in the world. (2).Sell your knowledge: e.g. create a membership site and create video or audio courses to teach people on how to do certain things, write ebooks on hot topics and sell to a worldwide audience etc. There are tons of things you can do online to make money, and those are just the few I could cover in this article. And if you already have a business offline you’re looking to bring it online to create influence and make more sales. Great! You can leverage on the power of social-media marketing to make more rapid and constant sales, sites like facebook, twitter, LinkedIn, instagram or snapchat and even YouTube are great places you can reach potential clients and make recurring revenue for your business even with a single $20-$100 first time advertising budget to help push your campaign to the right audience. Hope this article was helpful? If you gained some insights or if you’d love to get premium tips kindly use the comment section below. THANKS FOR READING….. This is a Guest Post By Andrew Turner, Work as a Brand Evangelist in Lagos.